In this third volume of the “Online Handbook of Language Criticism – A European Perspective”, linguistic purism is being understood as both criticism of language usage on the level of parole and criticism of forms and structures of a language on the level of langue. The articles in this volume illustrate in comparative perspective in which constellations of languages linguistic purism in German, English, French, Italian, and Croatian was relevant in the past, and still is today, how the individual languages were and are affected by language-puristic activities, and which actors and discourses have formed and framed language-puristic activities in the different language cultures. 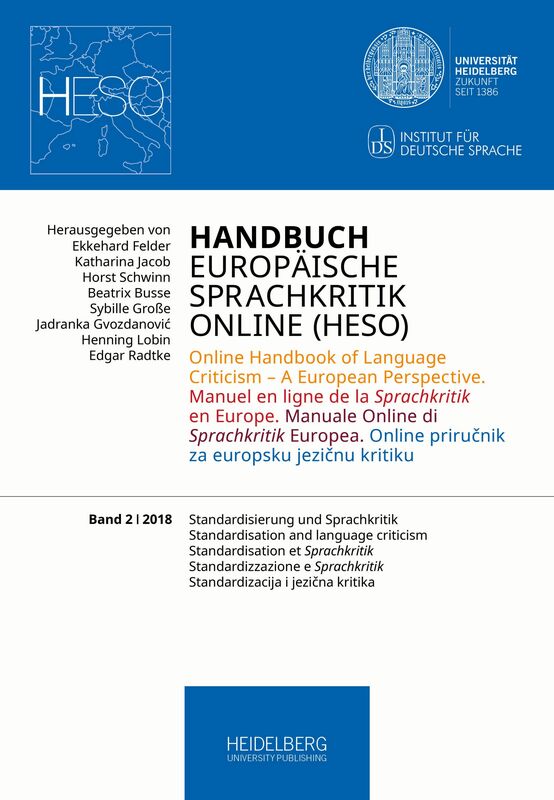 This second volume of the “Online Handbook of Language Criticism – A European Perspective” focuses on the processes of standardisation in German, English, French, Italian, and Croatian and investigates them in the context of language criticism, comparing different aspects of standardisation and authorities involved. It highlights diachronic aspects relating to the shaping of norms for written and spoken language as well as synchronic aspects, such as the development of pluricentric standards and issues of orthography and codification. 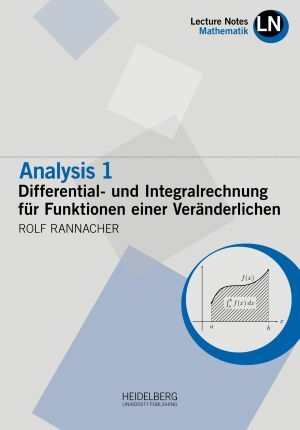 This introductory text is based on courses within a multi-semester cycle on “Numerical Mathematics” given by the author at the Universities in Saarbrücken and Heidelberg. In the present part basic concepts of numerical methods are presented for solving linear optimization problems (so-called “Linear Programming”). This includes besides the classical ”Simplex method“ also modern ”Interior-point methods“. As natural extensions methods for convex nonlinear, especially quadratic, optimization problems are discussed. Theoretical as well as practical aspects are considered. As prerequisite only that prior knowledge is required, which is usually taught in the introductory Analysis, Linear Algebra, and Numerics courses. For facilitating self-learning the book contains theoretical and practical exercises with solutions collected in the appendix. Das heiEDUCATION Journal. 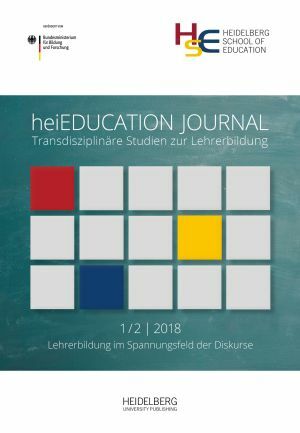 Transdisziplinäre Studien zur Lehrerbildung ist die fächer- und institutionen-übergreifende wissenschaftliche Online-Zeitschrift der Heidelberg School of Education. Es behandelt in mindestens zwei Ausgaben pro Jahr aktuelle und relevante Themen der Lehrerbildung aus unterschiedlichen Domänen und Disziplinen. Die Zeitschrift richtet sich an alle Akteure der Lehrerbildung: Wissenschaftlerinnen und Wissenschaftler, Studierende, für die Fort- und Weiterbildung Verantwortliche, berufstätige Lehrerinnen und Lehrer sowie Bildungspolitikerinnen und Bildungspolitiker. 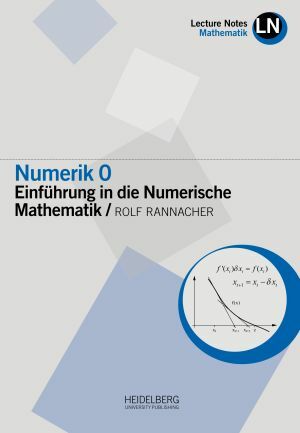 This introductory text is based on courses within a multi-semester cycle on “Numerical Mathematics” given by the author at the Universities in Saarbrücken and Heidelberg. 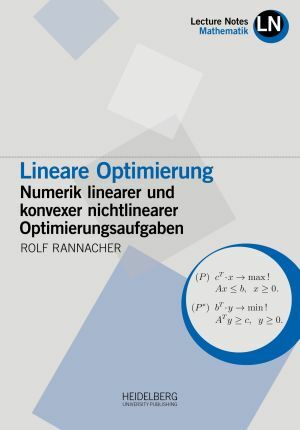 In the present part basic concepts of numerical methods are presented for solving linear optimization problems (so-called “Linear Programming”). This includes besides the classical ”Simplex method“ also modern ”Interior-point methods“. As natural extensions methods for convex nonlinear, especially quadratic, optimization problems are discussed. Theoretical as well as practical aspects are considered. As prerequisite only that prior knowledge is required, which is usually taught in the introductory Analysis, Linear Algebra, and Numerics courses. For facilitating self-learning the book contains theoretical and practical exercises with solutions collected in the appendix. The history of individual seascapes has recently become a vibrant and innovative field of research. 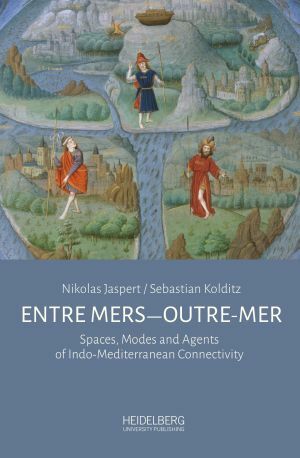 Nonetheless, connections between seas (entre mers) and the imagination of lands „beyond the Sea“ (Outre-mer) have only rarely been focused in these contexts. This is precisely the main aim of the present collection of essays, which results from a conference held at Heidelberg University. The individual papers treat various aspects of transmarine connections, their regulation and mental expansion in an Indo-Mediterranean context, which comprises the Mediterranean, the Indian Ocean, as well as projections of seaways to India on other maritime areas, thus spanning a wide chronological spectrum from Egyptian antiquity to the onset of the Atlantic Age in the sixteenth century. Mobility is an issue of fundamental relevance for mankind, starting with the daily mobility for working, continuing with recurring forms of mobility (like holiday trips, migration from birds and from humans) and not finishing with expatriates (humans as well as plants or animals). Different instruments for mobility (bike, car, plane, elevator, segway) are an issue as well as the question of how to adapt in case of temporary or permanent immobility. Exoskeletons might be helpful in cases of reduced mobility due to higher age. 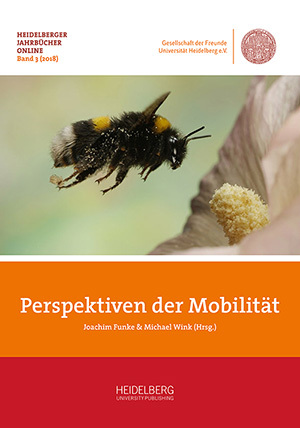 In their recent edition, psychologist Joachim Funke and biologist Michael Wink have selected interesting contributions from the whole field of the comprehensive Heidelberg university. Eight authors from different disciplines present their perspective on mobility. Museums especially in the Anglosaxon world understand that they have to present themselves in a modern form if they want to be accepted by a younger audience. Internet, social media, virtual and augmented reality, open culture: these are keywords which receive an ever increasing importance in the museum context as well. 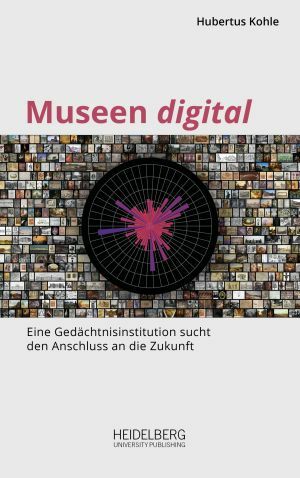 The book presents a selection of art museums which approach the digital sphere in a creative manner. In this way they try to cope with both their mission to educate and to entertain. self-study each chapter contains exercises with solutions collected in the appendix. This introductory text is based on lectures within a three-semester course on "Real Analysis" given by the author at Heidelberg University. The present second part is devoted to the classical calculus of differentiation and integration for functions of several real variables. Content and presentation are particularly oriented towards the needs of the application in the theory of differential equations, in Mathematical Physics and in Numerical Analysis. 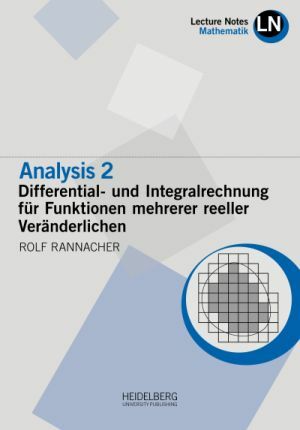 The understanding of the contents requires besides the material of the preceding part of this series, "Analysis 1 (Differential- und Integralrechnung fur Funktionen einer reellen Veränderlichen)", only some basic prior knowledge of Linear Algebra. For supporting self-study each chapter contains exercises with solutions collected in the appendix. In recent years, the availability of large annotated corpora, together with a new interest in the empirical foundation and validation of linguistic theory and description, has sparked a surge of novel work using corpus methods to study the grammar of natural languages. 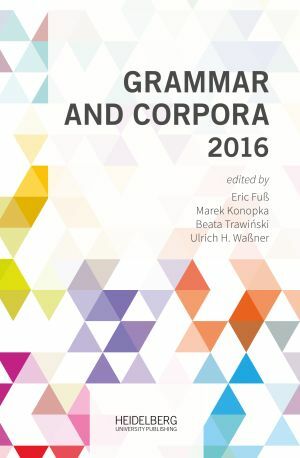 This volume presents recent developments and advances, firstly, in corpus-oriented grammar research with a special focus on Germanic, Slavic, and Romance languages and, secondly, in corpus linguistic methodology as well as the application of corpus methods to grammar-related fields. The volume results from the sixth international conference Grammar and Corpora (GaC 2016), which took place at the Institute for the German Language (IDS) in Mannheim, Germany, in November 2016. The editors of this volume are researchers at the IDS and were organisers of Grammar and Corpora 2016. 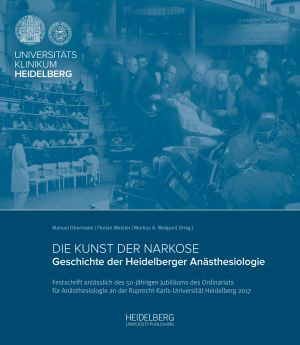 Anesthesiology has a long and eventful tradition in Heidelberg, beginning with the first “narcosis pioneers” – then part of the surgical ward – of the 19th century and resulting in an independent department whose chair was established in 1967. The development of modern anesthesiology is impressive, being a central branch within the field of contemporary medicine, including intensive and emergency medicine, as well as pain treatment and palliative medicine, thus linking the individual operative and non-operative departments. In the light of modern medical and demographic developments, anesthesiology faces the challenge that a growing number of older and seriously ill people undergo surgery. This requires a fine balance between individual needs and the economic necessities and progressive commercialization of medicine. Visualizations play an important role in the scientific research process. They serve to illustrate the knowledge gained, but also as a tool to gain knowledge. Such visualizations are also important in linguistics. For example in the form of maps, tree graphs and word nets. In corpus linguistics, explorative visualizations are often a way to make the data accessible and interpretable. The book reflects on the theoretical basics of scientific visualizations in linguistics, shows practical examples and also introduces visualization tools. 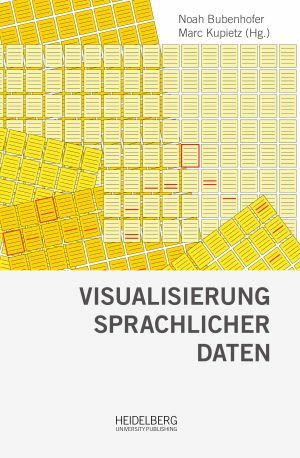 The research data to the contribution by Wolfer/Hansen-Morath: "Visualisierung sprachlicher Daten mit R" are available under https://doi.org/10.11588/data/6SO6TG. This volume is the outcome of the conference “Studying Documents in Premodern South Asia and Beyond: Problems and Perspective”, held in October 2015 in Heidelberg. In bringing together experts from different fields—including Indology, Tibetology, History, Anthropology, Religious Studies, and Digital Humanties—it aims at exploring and rethinking issues of diplomatics and typology, the place of documents in relation to other texts and literary genres, methods of archiving and editing documents, as well as their “social life”, i.e. the role they play in social, religious and political constellations, the agents and practices of their use, and the norms and institutions they embody and constitute. 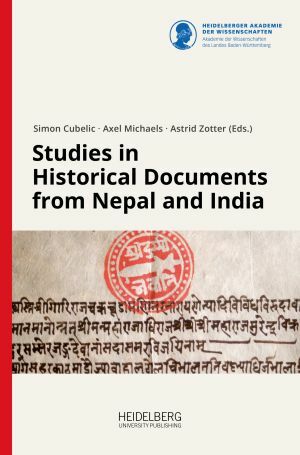 The book is the first volume of the Documenta Nepalica – Book Series, published by the Heidelberg Academy of Sciences and Humanities in collaboration with the National Archives, Nepal. Since the Middle Ages, next to churches the courts have been the most important employers for professional musicians. The important role of court music in European and particularly German music history has not been reflected in the efforts made by musicological scholarship in the past. Although there are numerous studies on particular courts, comparative studies are still lacking. 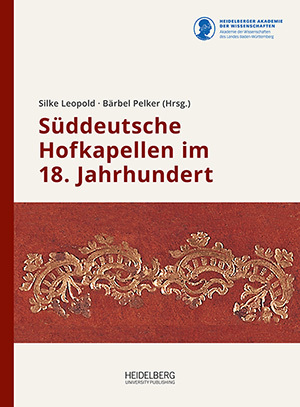 This publication documents the current state of research on the most important court chapels, as well as selected smaller aristocratic chapels in southern Germany during the eighteenth century. 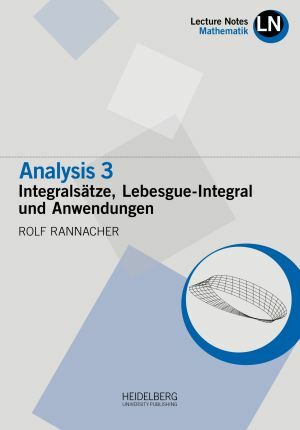 This introductory text is based on lectures within a three-semester cycle on "Real Analysis" given by the author at Heidelberg University. The present first part is devoted to the classical calculus of differentiation and integration for functions of one real variable. Content and presentation are particularly oriented towards the needs of the application in the theory of differential equations, in Mathematical Physics and in Numerical Analysis. This collaborative study investigates the hill station of Kalimpong and the larger Eastern Himalayan borderlands as a paradigmatic case of a “contact zone.” In the colonial and early post-colonial era, this space enabled a variety of encounters: between (British) India, Tibet, and China, but also Nepal and Bhutan; between Christian mission and Himalayan religions; between global flows of money and information and local markets and practices. 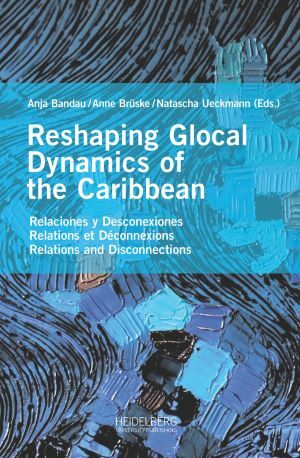 Using a plethora of local and global historical sources, the contributing essays follow the pathways of people from diverse cultural backgrounds and investigate the new forms of knowledge and practice that resulted from their encounters and their shifting power relations. 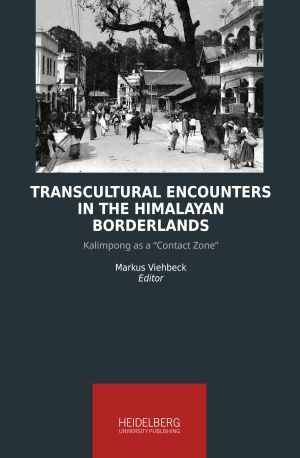 The volume provides not only a nuanced historiography of Kalimpong and its adjacent areas, but also a conceptual model for studying transcultural processes in borderland spaces and their colonial and post-colonial dynamics. The process of setting norms for language and language use is closely related to critique of language and its use. The German term Sprachnormenkritik as yet has no equivalent in English, French, Italian, or Croatian linguistics. Notwithstanding, the concept of ›critique of language norms‹, or aspects of it, have been debated in all these languages for centuries. This introductory text is based on courses within a multi-semester cycle on “Numerical Mathematics” given by the author at Heidelberg University over a period of 25 years. The present fourth part is devoted to problems in Continuum Mechanics, especially in Structural and Fluid Mechanics, and their numerical solution by finite element methods. Again theoretical as well as practical aspects are considered. As basis of an appropriate numerical approximation the mathematical models are systematically derived from fundamental physical principles. 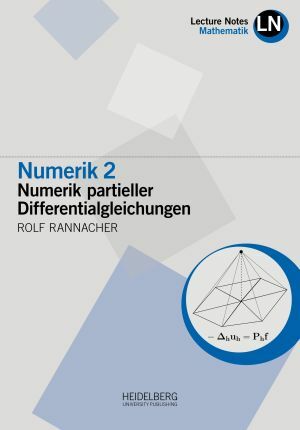 The understanding of the contents requires besides the material of the preceding parts of this series, “Numerik 0 (Einführung in die Numerische Mathematik)”, “Numerik 1 (Numerik gewöhnlicher Differentialgleichungen)”, and “Numerik 2 (Numerik partieller Differentialgleichungen)” only that prior knowledge as is usually provided in the basic Analysis and Linear Algebra courses. 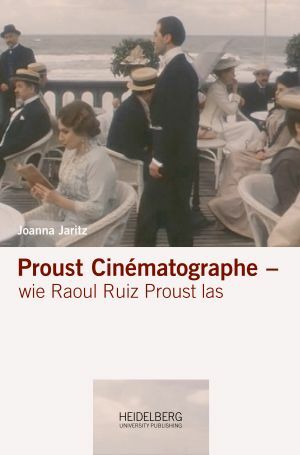 "Proust Cinematographe – Ruiz reading In Search of Lost Time" takes a new look at the metapoetic program of Proust A la Recherche du Temps perdu. Selected text passages and film excerpts are analyzed, focusing on the fundamental questions of the novel about the perception and description of time, subject, and identity. It turns out that the novel of the nineteenth century anticipated the concepts of modern cinema on a surprisingly broad scale. NB: We recommend Adobe Acrobat Reader DC to display the videos embedded in some of the PDF files. Bürgerwissenschaft (Citizen Science) ist im Kommen: In vielen Wissenschaftsdisziplinen übernehmen Laien Aufgaben wie das Erfassen von Tieren und Pflanzen in bestimmten Gebieten oder die Sichtung von Sternen. In der Medizin sind es Selbsthilfe-Gruppen, die Wissen sammeln und organisieren, in der Psychologie wird über Laien-Therapie diskutiert. 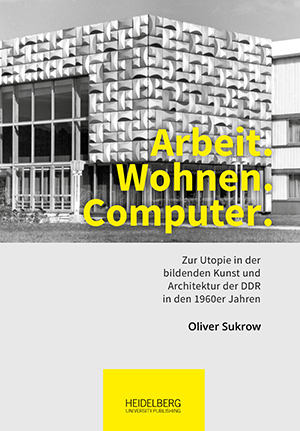 In der Germanistik werden editorische Tätigkeiten durch Laien ausgeführt, in der Geschichtswissenschaft durchforsten Amateure die Archive oder sammeln lokale Daten. 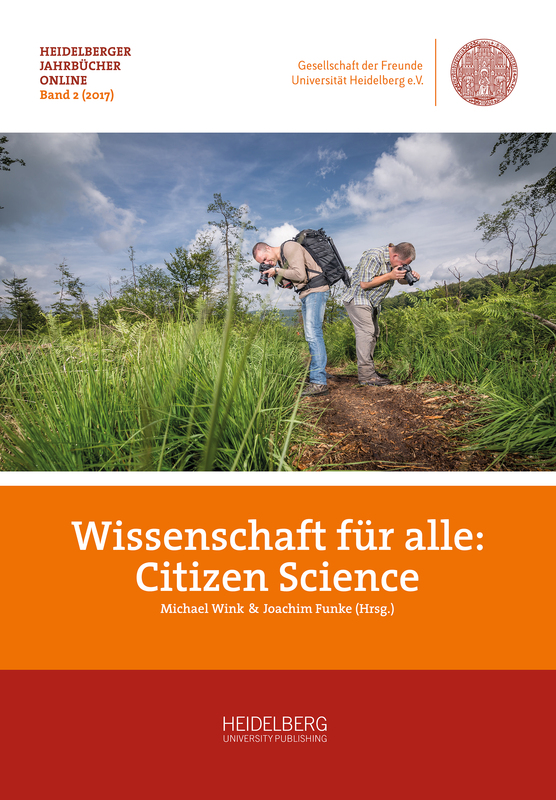 Diese Thematik beleuchtet der von Michael Wink und Joachim Funke herausgegebene Band „Wissenschaft für Alle: Citizen Science“ aus der bunten Sicht einer Volluniversität. 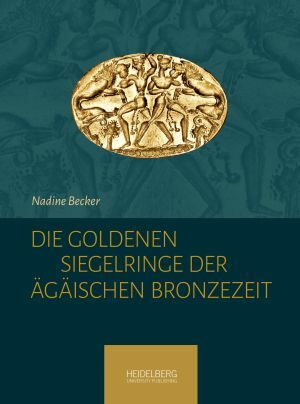 Zehn Autorinnen und Autoren aus Geistes-, Kultur-, Naturwissenschaften und Medizin diskutieren Chancen und Grenzen der Bürgerforschung aus Sicht der universitären Forschung. Global history has long become an established field of research. At the 11th conference of the working group on the Early Modern Period (Historians’ Association, Germany), participants aimed at applying global-history approaches on early modern Europe. “Europe” has consistently been both a subject to and a concept of negotiation processes, which hardly kept to territorial borders or clear-cut topographically or language-bounded areas. The conference proceedings open up new views on geographical and historical imaginations of Europe from within and without, on claims of identity and alterity as well as on the mutability of periphery-centre relations. 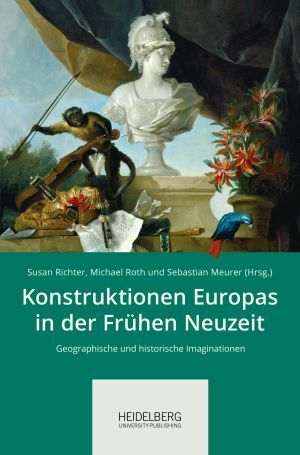 Moreover, they display the wide range of – internationally well-connected – historical research on the early modern period in Germany. Wilhelm Windelband (1848-1915) was a professor of philosophy during the German Empire, leader of the south-west German school of neo-Kantianism and an influential, when somewhat opinionated, public speaker. Neo-Kantianism was linked with opposition to the discipline of psychology and Windelband is noted in the history of science as nurturing a pronounced dislike of psychology, and of expressing this opinion polemically. The reality, presented here for the first time, looks different. He championed at an early stage the independence of psychology, worked on a book about psychology and gave more than twenty lectures about psychology. 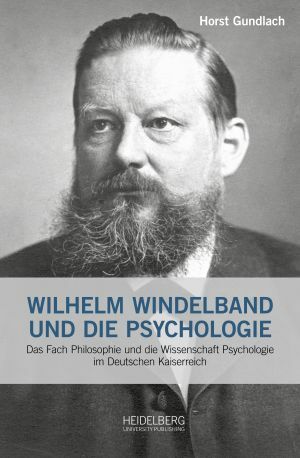 The institutional background concerning the difficult relationship between philosophy and psychology is examined, and shows that Windelband was not an isolated case in the history of philosophy. This introductory text is based on courses within a multi-semester cycle on “Numerical Mathematics” given by the author at Heidelberg University over a period of 25 years. The present third part is devoted to numerical methods for solving partial differential equations. Again theoretical as well as practical aspects are considered. The understanding of the contents requires besides the material of the first two parts of this series, "Numerik 0 (Einführung in die Numerische Mathematik)" and "Numerik 1 - (Numerik gewöhnlicher Differentialgleichungen)", only that prior knowledge as is usually provided in the basic Analysis and Linear Algebra courses. For facilitating self-learning the book contains theoretical exercises with solutions. This volume offers a fresh perspective on the copy and the practice of copying, two topics that, while the focus of much academic discussion in recent decades, have been underrepresented in the discourse on transculturality. 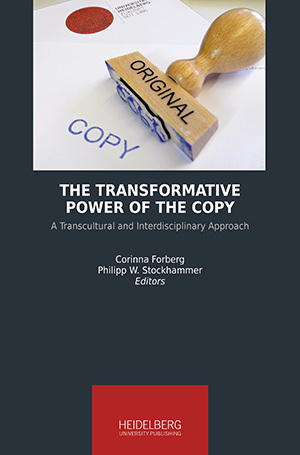 Here, experts from a wide range of academic disciplines present their views on the copy from a transcultural perspective, seeking not to define the copy uniformly, but to reveal its dynamic and transformative power. 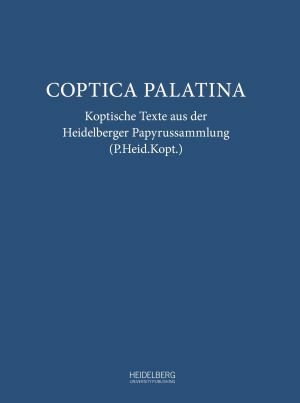 The copy and the practice of copying are thus presented as constituents of transculturality via thought-provoking contributions on topics spanning time periods from antiquity to the present, and regions from Asia to Europe. 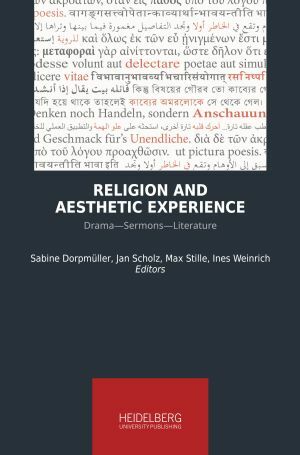 In so doing, these contributions aim to create the basis for a novel, interdisciplinary discourse on the copy and its transcultural impact throughout history. Everyone wants to grow old, no one wants to be old, it is said in a folk wisdom from China as well as from Africa, Latin America or Europe. People grow old around the whole world. But in doing so they are assigned very different roles in the social and cultural context as well as possible alternative concepts of the design of this life stage are also characterized by religious, cultural and social attributions. 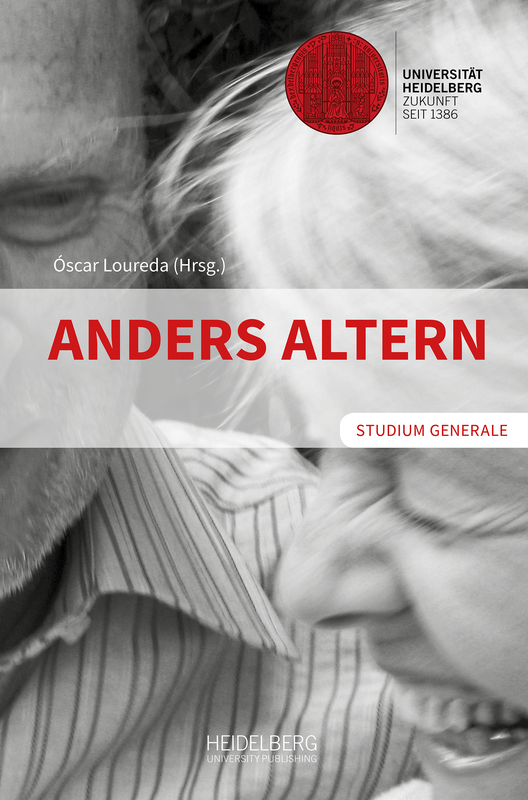 "Aging the other way" – was the motto of the nine lectures of the "Studium Generale" to which the Heidelberg University invited in the summer semester 2015. Scientists of the Ruperto Carola as well as other universities in national territory and abroad looked at various aspects of aging from the perspective of their respective disciplines from dealing with aging and elderly people in Asia to ethical considerations of age to presentations of the subject in contemporary literature. The series of lectures was designed by employees of the research project "Aging in the Transcultural Context" which is located at the Cluster of Excellence "Asia and Europe in the Global Context" of the Heidelberg University. This introductory text is based on courses within a multi-semester cycle on “Numerical Mathematics” given by the author at Heidelberg University over a period of 25 years. The present second part treats numerical methods for solving ordinary differential equations. Again theoretical as well as practical aspects are considered. The last chapter provides an outlook on numerical methods for partial differential equations. The understanding of the contents requires besides the material of the first volume in this series “Numerik 0” only that prior knowledge as is usually provided in the basic Analysis and Linear Algebra courses. For facilitating self-learning the book contains theoretical and practical exercises with solutions. This introductory text is based on courses on “Numerical Mathematics” given by the author at Heidelberg University within a multi-semester cycle over a period of 25 years. The present first part covers fundamental concepts of numerical methods for solving ordinary analysis and linear algebra problems. Both theoretical and practical aspects are considered. The understanding of the contents requires only that prior knowledge as is usually provided in the basic Analysis and Linear Algebra courses. For facilitating self-learning the book contains theoretical and practical exercises with solutions. 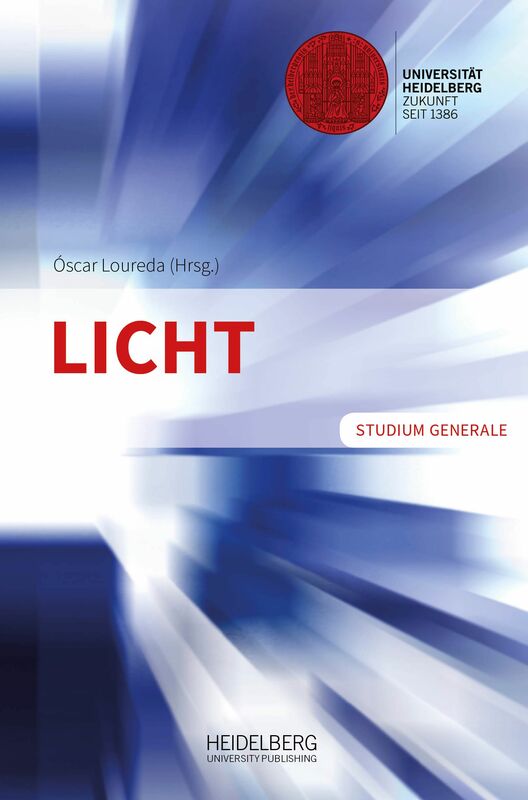 In the winter semester 2014/2015 Heidelberg University’s “Studium Generale” covered the subject of light. Dealing with the question “what defines light,“ physicist Rolf Heilmann gives an overview of different concepts that were used to approach the phenomenon of light in the interaction of religion and art, philosophy, natural sciences and technology in the course of centuries. Art scholar Michael Hesse discusses the subject of light from an architectural perspective through the ages as well as in connection with psychologizing of architecture. Matthias Bartelmann from the Centre for Astronomy of Heidelberg University talks about gravitational lensing in the universe and Johann Kreuzer’s lecture deals with light as a metaphor in philosophy. European cookery has grown historically, and so has the Sienese Libro de la cocina. 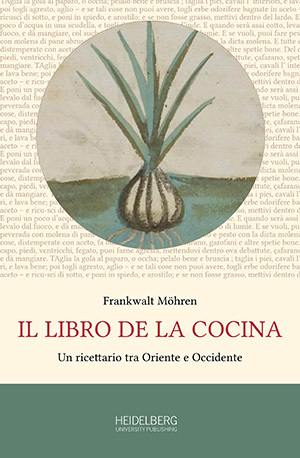 The book's origins are partly in Italy, partly in other cultures, combining recipes from Tuscan cuisine with those taken directly from the older Latin Liber de coquina, a cookery book from Naples which can be seen as a link between Oriental and Western European culinary literature. The Libro de la cocina reveals the complete range of the art of XIVth century Italian cooking: basic and elaborate vegetable, meat and fish dishes, desserts, and dietary preparations. Many of the almost 200 recipes are linked with their Oriental, French, English, and Italian precursors and successors. A complete critical glossary makes the texts accessible and, in addition, parallel vernacular and Latin texts are provided. People love stability and wonder when changes occur (or even feel fear). We are surprised about changes like volcano eruptions or climate change. But also changes in our political or social context provoke sceptic reactions. Why is it that the idea of stability is so important for our living? 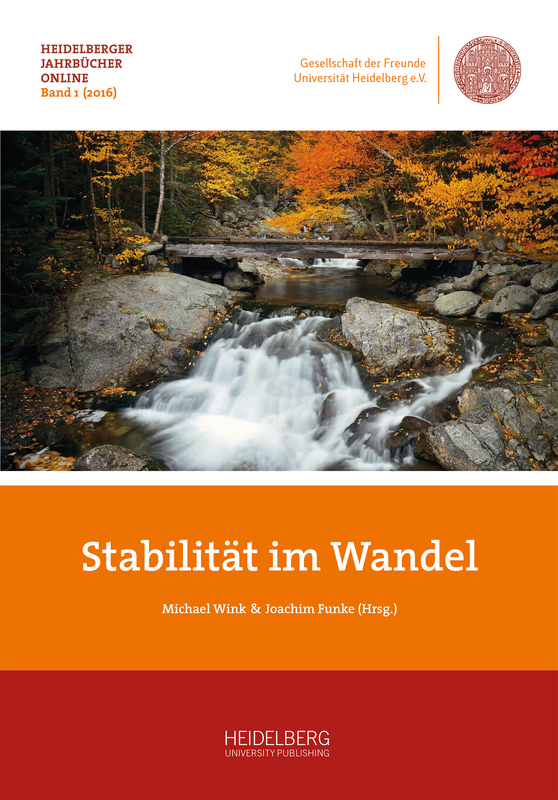 Edited by biologist Michael Wink and psychologist Joachim Funke, eight chapters from ten authors illustrate ideas from medicine, humanities, and natural sciences in their different perspectives on stability within change. Over the course of the past decades, photography has become one of the most popular fields of art. This development is also reflected in recent prices for some works of contemporary photography, which fetch up to several million dollars. Such price levels would be unheard of if artists were to take advantage of the opportunity to produce as many prints from the same negative as possible. On the contrary, the prevailing practice in contemporary photography is that of printing photographs in “limited editions”, with some of the most expensive photographs only existing in the low single digits. This study researches the legal implications of artists communicating limited editions to the purchasers of their art with the main question being whether such “promises of exclusivity” are legally binding and thus could be enforced by collectors e. g. in court proceedings. 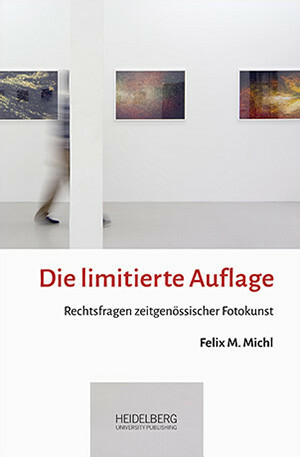 Felix M. Michl is the 2016 winner of the best PhD thesis prize awarded by the Institute for Art and Law ("Institut für Kunst und Recht") IFKUR e.V. The Great Hall of the Old University building is the ceremonial hall and heart of Heidelberg University. 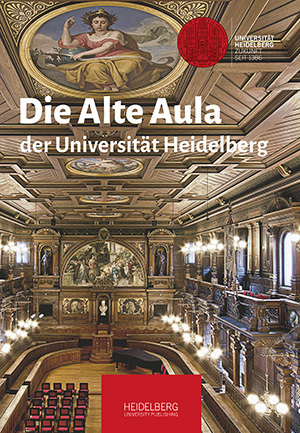 With the aid of allegories and metaphors, it illustrates the history and self-image of the oldest university in modern-day Germany. Originally built in the baroque style, it was remodelled completely on the occasion of the University’s 500th anniversary. The magnificent room donated by the Grand Duke of Baden is one of the few ensembles of the Karlsruhe School of Woodcutting that remains intact; it is used primarily for academic events such as inaugural lectures of newly appointed professors or graduation ceremonies. But the Great Hall is also a place for public concerts and presentations to which the venerable surroundings lend a particular splendour. After 1918 Germany had to find a new definition for its identity on a political and social level as well as to rediscover itself as a unity in terms of geography and culture. This process can be described as „Inner colonisation“. Scientists and artists began to compensate the many losses by tapping into the dimension of the „inner“ Germany - its unique cultural density - which in France would be called „la France profonde“. The pressure to be economical was converted into an economy of abundance of spiritual and material wealth. The newly discovered virtue of variety could be explained in short by phrases and slogans. 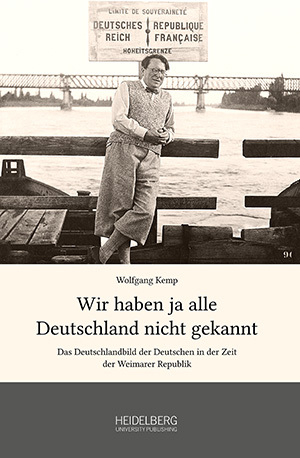 However, this book addresses all those texts and images which emerged from an „Arbeit im Material“ (Siegfried Kracauer) and from a fresh, authentic experience - „Nähe der Anschauung“ (Ernst Glaeser). Passing Through Shanghai examines how children experience international mobility. Focusing on a specific yet diverse group of expatriate youths in contemporary Shanghai, the book investigates how children negotiate cultural identity when they are subject to the highly mobile and often privileged lifestyle associated with their parent’s international careers. 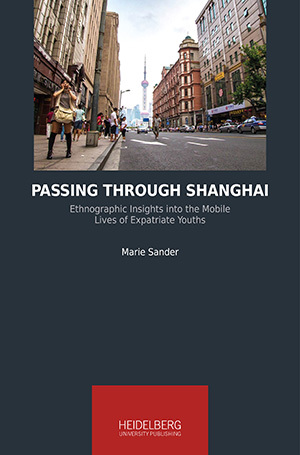 The ethnographic fieldwork that informs the book was carried out in Shanghai from 2010 to 2012 and focused on expatriate teenagers’ everyday practices, their lives at international schools, their engagement with the city, their dreams and aspirations, as well as their questions of belonging. The book’s ethnographic approach captures the “in-between” state of moving while growing up and explores teenage practices and positionings in this transitory situation. The teenagers’ own perspectives and experiences of living in expatriate communities contribute to a larger view of the interdependence and contradictions between the aspired flexibility of twenty-first century identities and the rigidity of cultural divisions based on nationality, ethnicity, gender, and class. The immense ideological significance that the city of Rome held since the times of the late republic corresponded until the 2nd century AD with the actual supremacy of the urbs within the Imperium Romanum: Rome was the place where socially and politically influential players and groups met; it was where they tried to create an atmosphere of mutual understanding and agreement through complex ways of interaction. Until well into the imperial era the senatorial aristocracy considered the interacting presence of Rome as a major constant of their lifestyle. At least until the 1st century AD the emperors could not disengage themselves from the reference framework that the city was. Therefore, the forms and the reasons for aristocratic and imperial absence are of particular interest. 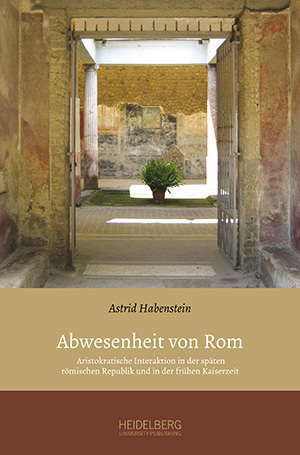 Which role the absence of Rome played in the system of aristocratic interaction and which implications it had for politics and the society of the late republic and the early imperial era is the subject of the present study. Astrid Habenstein's work was awarded by the Historical Institute at the University of Bern with the prize for the best PhD-thesis in 2012.